Feast of the Annunciation, Mon. March 25, 7:00 PM, Holy Rosary Church, 4851 Park Avenue, Memphis. The Feast of the Annunciation marks the visit of the Archangel Gabriel to the Virgin Mary, announcing that she would be the mother of our Savior, the Word made flesh. It is also the day of an international pro-life celebration: the International Day of the Unborn Child. Established by St. Pope John Paul II. the pope wanted people in every part of the world to commemorate this feast day by celebrating the gift of life and remembering all unborn human life. For more information, please contact Jan Courtney at 901-490-6435. © 2019. 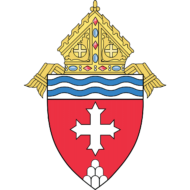 Catholic Diocese of Memphis.